Mike Ullery/Call Photo Edison State volleyball coach Julia Brandewie reacts during the Lady Chargers 8-0 start this season. When Julia Brandewie took over as Edison State volleyball coach last year after two years as an assistant, she had a plan in place. And after guiding a team that was 12-16 two years ago to a 20-8 record last season, that plan has come to fruition this year with an 8-0 start heading into Saturday’s match with Clark State. That includes a win over 15th ranked Mott and has the Lady Chargers in the top 25 in the most recent NJCAA D-II poll. Brandewie said her second year has not necessarily been any easier. The sophomore group includes 5-7 setter Noel Ufferman (Marysville), 5-6 defensive specialist Camille Odle (Lehman Catholic), 5-10 outside hitter Reagan Morrett (Miami East), 5-10 middle/right side Miranda Hickey (Jackson Center) and 5-8 outside hitter Vanessa Winner (Jackson Center). 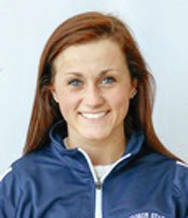 Like Whitney Pleiman, Ufferman has already been named an OCCAC Player of the Week. Not only is she a setter, she can block and hit as well being a strong defenders, leading the Lady Chargers in attack percentage. The freshman include 5-4 libero Whitney Pleiman (Russia), 5-3 defensive specialist Kelsey Peters (Piqua), 5-10 setter Leah Herdman (Greenon), 5-10 rightside Navie Garber (Piqua), 5-11 middle Cali Stewart (Tippecanoe), 6-0 middle/outside Kathryn Lee (Troy Christian) and 5-9 middle/rightside Aimee Powell (Versailles). Pleiman, who came from a very successful program at Russia, was also excited. And the win over Mott just validates those opinions. And, while Edison is now receiving votes in the poll, the girls are not getting caught up in that. And Brandewie has exactly what she wants with this team — balance and depth everywhere. Morrett leads the team with 79 kills, while Hickey has 75 and Winner has 59. Hickey leads the team with 63 blocks, while Powell has 55 and Ufferman leads the team with a 37 percent attack percentage. Odle paces the team with 11 aces, while Pleiman has served eight and Ufferman has served seven. Pleiman leads the defense with 222 digs, while Winner has 128 and Ufferman adds 111. As for the rest of the season, the players and Brandewie are thinking big. It just validates that the plan Brandewie put in place is coming to fruition. 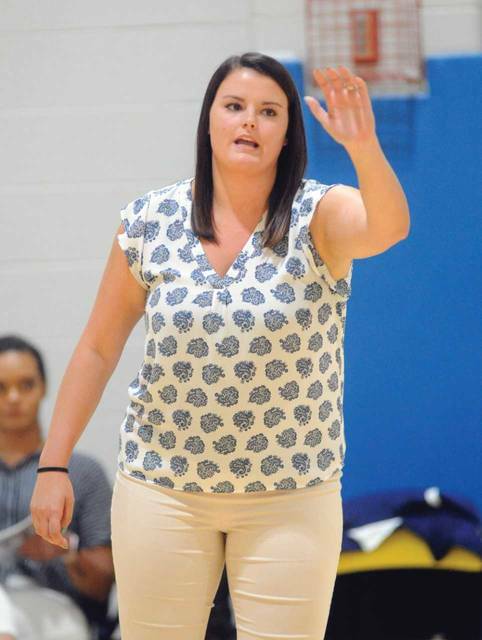 https://www.dailycall.com/wp-content/uploads/sites/30/2018/09/web1_brandewie.jpgMike Ullery/Call Photo Edison State volleyball coach Julia Brandewie reacts during the Lady Chargers 8-0 start this season.